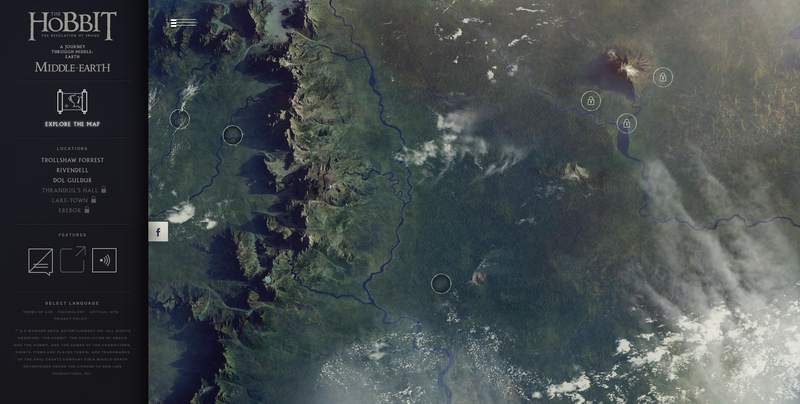 Google is continuing its HTML-based journey through imaginary lands. After a trip to the land of Oz in February, Google is now taking us for a tour of J.R.R. Tolkien's Middle-earth with a new Chrome experiment. The immersive “A Journey through Middle-earth” lets you wander across important locales from Tolkien's "The Hobbit," including Trollshaw Forest, Rivendell, and Dol Guldur. The latest Chrome experiment was designed specifically for touch-enabled tablets, smartphones, and PCs, according to Google. But if all you have is a lowly keyboard-and-mouse PC, you'll be able to join in the fun too—in fact, you might have a slightly better experience in some respects. As with other Chrome experiments, this tour through Middle-earth is most effective in full screen with the sound turned up. The journey mixes brief elements from the movies, soundtrack clips, and computer graphics. Dig a little deeper into one of the specific locales and you end up checking out WebGL-based 3D environments. 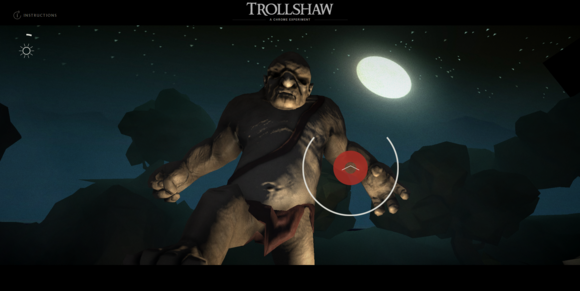 In the Trollshaws, you'll have to evade the hungry trolls or end up getting smacked and thrown into the pot for dinner—it doesn't look like you can rely on Gandalf to save you this time. Watch out for that troll! You don't get to explore the Elven city of Rivendell, unfortunately. Instead, you end up running through a ravine springing flowers to life using elf magic. In other words, it combines the beauty of modern web graphics with the lameness of Wii game design. Finally, you can visit Dol Guldur, where you can try to pass a Tolkien-styled Kobayashi Maru among the hilltop ruins. I gave this experiment a try on Chrome running on a Lenovo X220 and a first generation Nexus 7. Both devices handled the graphics fairly well; however, like other touch-based games, parts of A Journey Through Middle-earth had to rely on virtual game sticks instead of pure swiping, tilting, pinching and tapping. 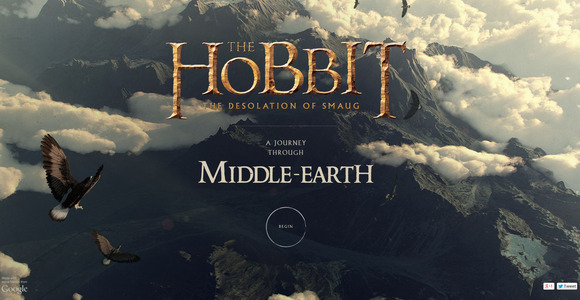 A Journey Through Middle-earth is more about showing off what Web technologies can do rather than creating a complete game-like experience. It ends way too soon and leaves you hoping there's more—and maybe there will be in the coming weeks as other elements of Middle-earth are unlocked. Its brevity aside, anyone who loves to geek out on Tolkien, web technologies, or video games should definitely check it out.